Would you like to try out three months of “normal life” in Český Krumlov? A fictitious company is trying to fight the death of normalcy in popular tourist destinations. “The town is never empty. Our figures show 1.5 million people a year, which is probably past the limits of normality. That is more than 100 times the number of inhabitants.” This is how the mayor of Český Krumlov, Dalibor Carda, recently summarized the problems that come with tourism. This year, the Czech and Slovak Pavilion at the international architecture biennale in Venice will explore the issue of life in popular tourist destinations. Last year, Šedá – already a well-known artist – contacted Český Krumlov’s Egon Schiele Art Centrum (specifically, its director Hana Jirmusová, who later became the project’s co-curator) with the idea of doing something for the city’s historic center, which is overflowing with tourists and being abandoned by locals (what more can this pearl of southern Bohemia, a UNESCO World Heritage Site, bear?!). Šedá moved to Krumlov for a week with the entire family (including her grandmother) and visited the town many times afterwards in order to talk with local residents, town councilors, and other officials. And so UNES-CO was born. Czech Television has already shot a commercial aimed at finding volunteers to spend three months in Krumlov, where they would engage in normal life. The kind of life that one Romany family, the Rác family, led thirty years ago. “Gypsies have totally disappeared from this town. They used to live on every street. You don’t see locals walking around anymore like before,” says Vlasta Rácová. “It’s all foreigners now. Krumlovites are slowly dying out,” adds Robert Rác. Šedá and the Egon Schiele Art Centrum have received critical e-mails. Some people are calling on her to build a parking garage under the square instead of her project. “Some people believe that when an artist comes along, they have that kind of power. The critical e-mails are a minority compared to the hundreds that are extraordinarily touching and beautiful,” says the Schiele Centrum’s director Hana Jirmusová Lazarowitz. “It would be better if the town invested money into something that it really needs. There’s plenty of other things in Krumlov that city hall could focus on. I find it illogical to give money to people to briefly live in the historic city center. In the Plešivec neighborhood where I have lived since birth, the benches are in a terrible state of repair, and I won’t even mention the street that leads to our housing development,” added student Daniela Jakešová. The UNES-CO project is a part of the Czech Republic’s entry at the 16th International Architecture Exhibition. Its author Kateřina Šedá has a long-standing interest in social architecture. She says that her aim is not to criticize tourism, but “a way of getting outsiders to pause and to give them a chance to become locals for a moment.” Her aim is to improve the situation in a place flooded by tourists through a grassroots solution that can bring change and that is capable of further evolution. 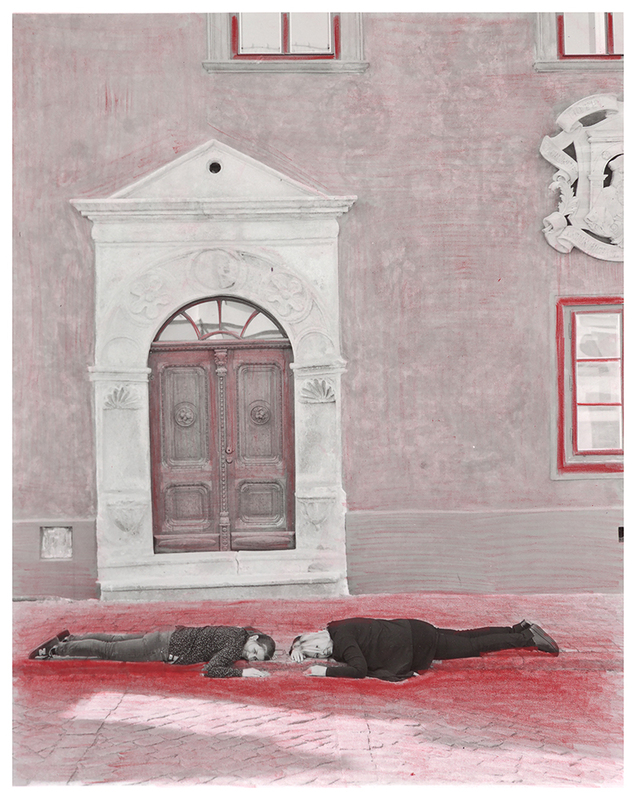 Life in Český Krumlov will be broadcast live to the Czech and Slovak Pavilion, which for the duration of the 16th Venice Biennale will be transformed into the headquarters of the UNES-CO company. At the company’s reception desk, visitors can browse through a catalogue of normal activities. Venice, too, is struggling with the same problem of depopulation. At the biennale, they can learn from the Czech example from May 26 to November 25 of this year. Especially on social networks, her public call looking for people to engage in “ordinary life” in the city’s streets has aroused a wave of opposition from some local residents. “Pathetic. There must thousands of other projects more deserving of this money,” wrote Michal Majer on the city’s Facebook page. Šedá says that she is used to similar reactions to all her projects. She points out that she also gets many positive emails every day, as well as letters of motivation from people interested in the housing. Český Krumlov is the first city on the UNES-CO company’s list to have decided to financially support the project and actively participate in it. This curatorial concept at the 16th Architecture Biennale in Venice is focused on the generosity of spirit and the humanity of architecture. In the words of the project’s main curators, “freespace” encourages reviewing our ways of thinking and finding new ways of seeing the world, which is the main idea behind the work of Kateřina Šedá.